Crowd shot. 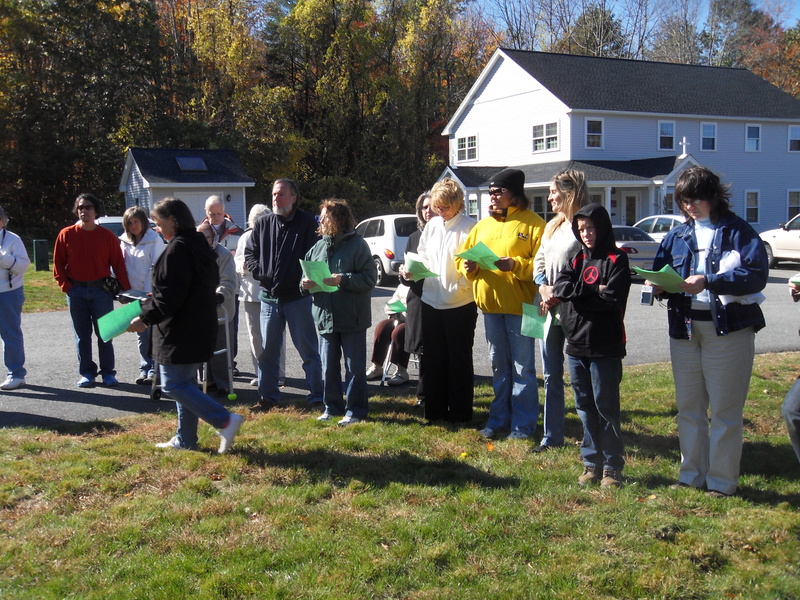 Nearly 40 people were present for the dedication. Rev. 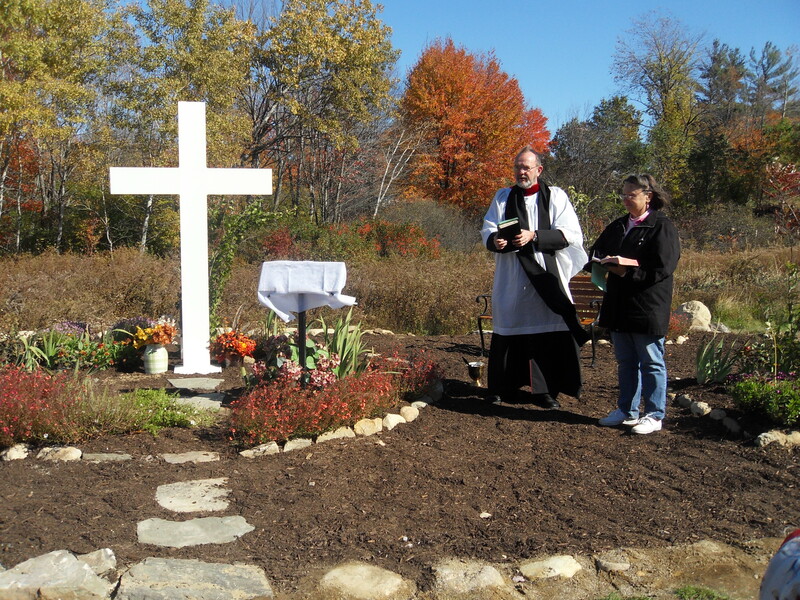 Canon Dr. Mark A. Pearson in the Deacon Hedley Pearson Memorial Garden offering dedicatory prayers. Sundy Clark stands with Canon Pearson. Sundy is on the Board of Directors and is tasked with supervising the grounds. She has several more projects in the works for the next few years. Reading a Scripture lesson just before the cloth was removed to reveal the dedicatory plaque is Board Member Sundy Clark. Sunday's task on the board is to oversee everything to do with the nearly 8 acres of grounds at the healing center. Next projects, to be planned over the winter, and executed, God willing in 2011 are (a) landscaping around the Ten Commandments memorial and (b) the Prayer Path down to the pond. 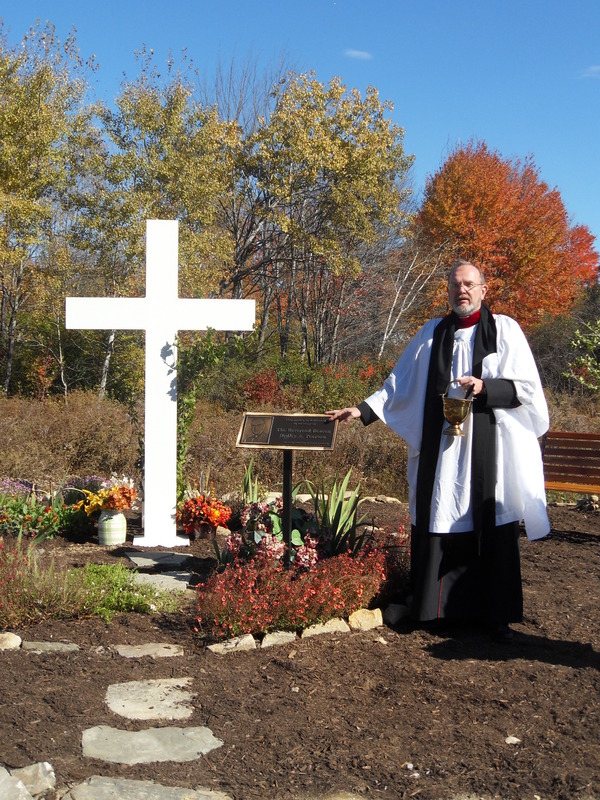 ﻿In the photo in the bottom right stands Jennifer Doherty, granddaughter to Deacon Hedley and Beverly Pearson, daughter of Canon Mark Pearson and step-daughter of Dr. Mary Pearson, and wife of Board Member Jay Doherty. Jay’s task on the board is designing the second building, a task most appropriate for an architect. 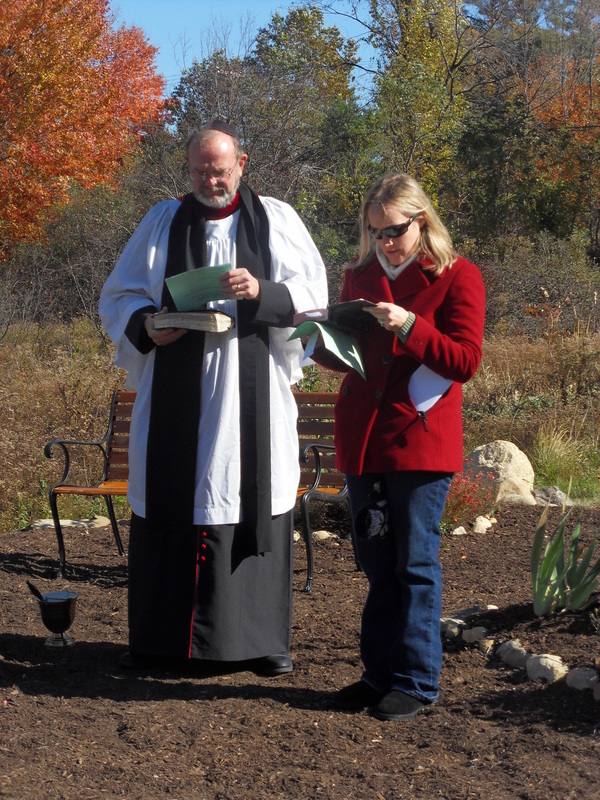 Reading Scripture is Jennifer Doherty, granddaughter of Deacon Hedley Pearson.